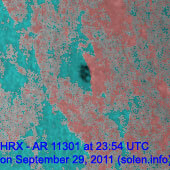 Last major update issued on September 30, 2011 at 04:40 UTC. 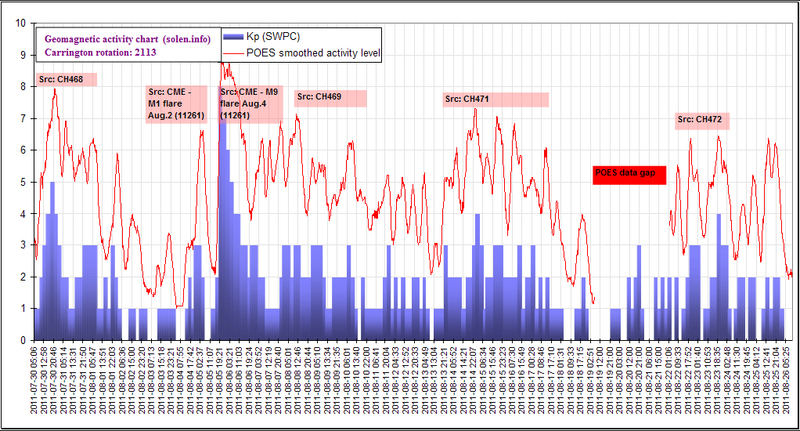 The geomagnetic field was quiet to active on September 29. 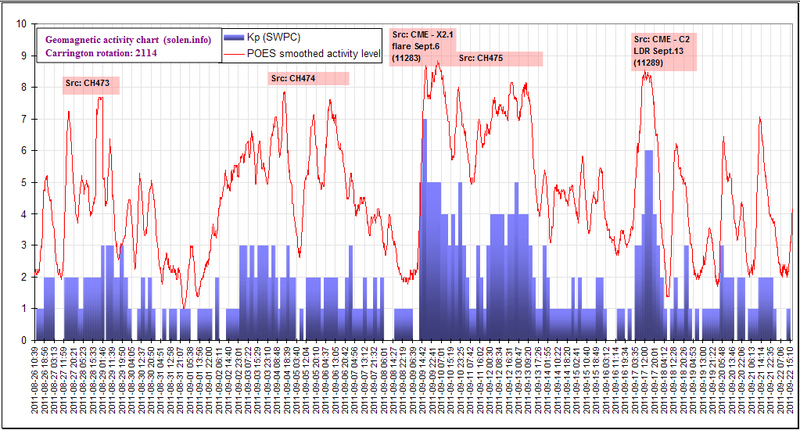 Solar wind speed ranged between 429 and 587 km/s under the influence of CME effects. 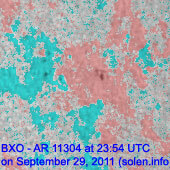 Solar flux measured at 23h UTC on 2.8 GHz was 136.6 (increasing 21.2 over the last solar rotation). The planetary A index was 15 (STAR Ap - based on the mean of three hour interval ap indices: 15.4). Three hour interval K indices: 44334111 (planetary), 65432322 (Boulder). Region 11301 [N17W63] decayed further and was quiet. 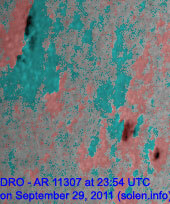 Region 11304 [N14W45] decayed significantly and was quiet. 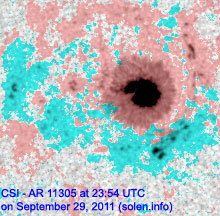 Region 11305 [N12E15] developed further and could produce a minor M class flare. 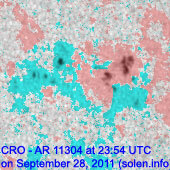 Flares: C1.3 at 10:23, C5.6 at 18:05 UTC. 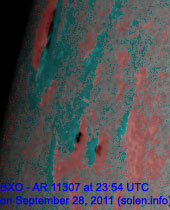 The latter event was interesting as it seemed to trigger a filament eruption south of the region. 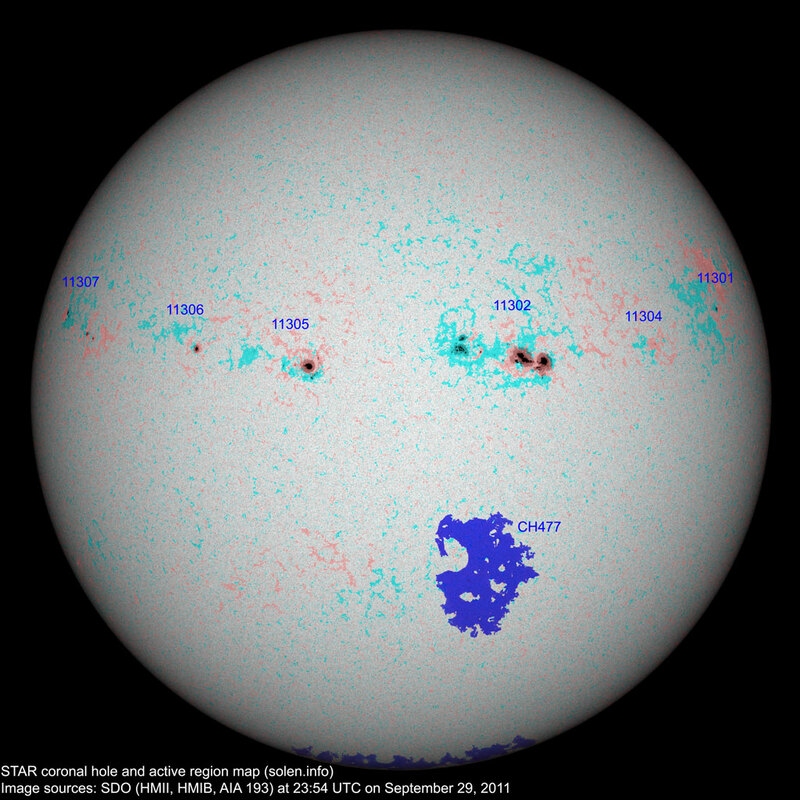 LASCO and STEREO images will require further analysis as they are inconclusive as to whether or not a potentially geoeffective CME was produced. 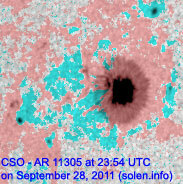 The region was the source of a C7.7 flare at 04:00 UTC on September 30. 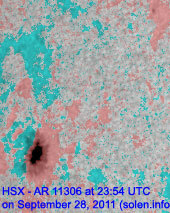 Region 11306 [N14E35] was quiet and stable. 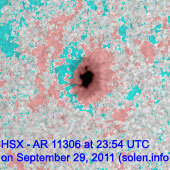 Region 11307 [N15E65] was quiet and stable. 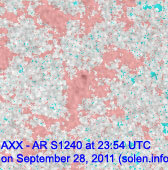 September 27-28: No obviously Earth directed CMEs observed. September 29: Uncertain pending further analysis for the C5.6 event in region 11305. 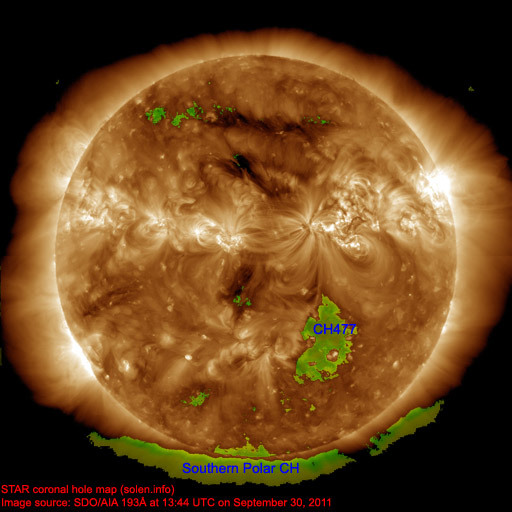 The geomagnetic field is expected to be quiet on September 30. Weak effects from CH477 are possible on October 1-2 resulting in quiet to unsettled conditions with a chance of active intervals.